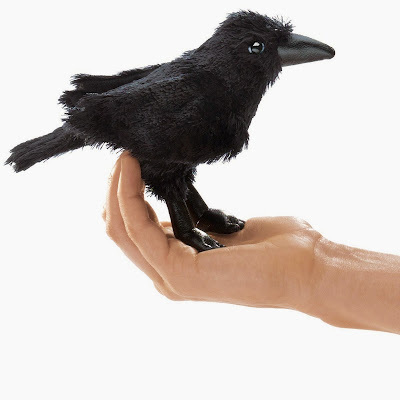 This Folkmanis raven is a little finger puppet. It's also sold via eBay. 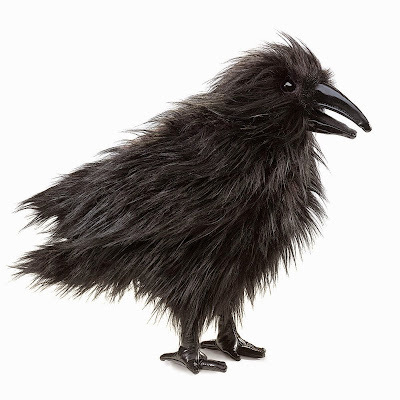 They also make this fuzzier, more heavily feathered raven finger puppet. It's also sold on eBay. 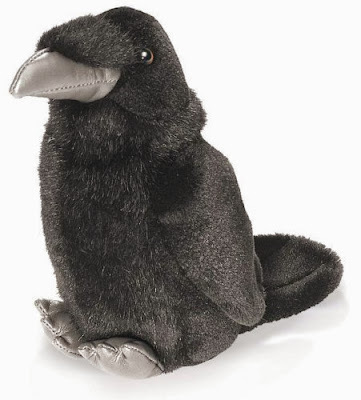 This Raven Cuddlekin is by Wild Republic. 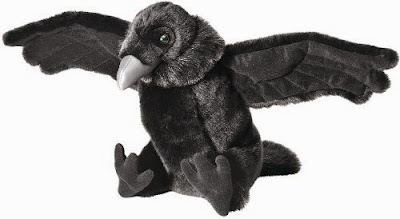 This adorable plush baby raven is by Gund. It's also sold on eBay. This Audubon Raven makes an authentic bird sound. 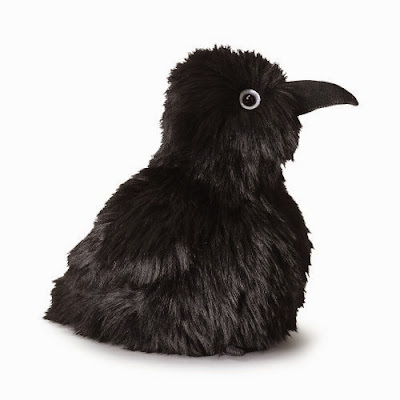 Alas, it does not cry "Nevermore" when you press on it. It's also available through eBay.